For the most part, it hasn’t seemed as if people were as excited about the final season of American Idol as Fox probably hoped they would be. While it has been clear throughout the season why this should be Idol’s last, that doesn’t mean Season 15 has been totally lacking in awesome moments. In fact, last night Season 1 winner Kelly Clarkson returned to the stage and gave us an emotive and emotional performance. You can watch it, below. The veteran singer pulled out her single “Piece by Piece” for her big American Idol performance. She managed to make it through a portion of the song before she totally lost it, her voice warbling a little. Around the 3:10 mark she took a step away from the mike before finding the composure to continue. To her credit, the song is a really emotional one, written after the birth of her daughter about men like her husband and all of the women out there who haven’t been able to have a parent around growing up. (Clarkson's own father was an absentee parent.) Combine an emotional song with the fact that American Idol made Kelly Clarkson a household name and it’s easy to see why this performance was a special one for the singer. At the end of the song, Kelly Clarkson cracked a joke about being super pregnant to explain the fact she let her emotions out during the song, but she really didn’t have to. Jennifer Lopez and the other judges were clearly also having moments while watching Clarkson leave it all on the stage. Sure, it wasn’t her cleanest performance ever, but that wasn’t exactly the point, either. 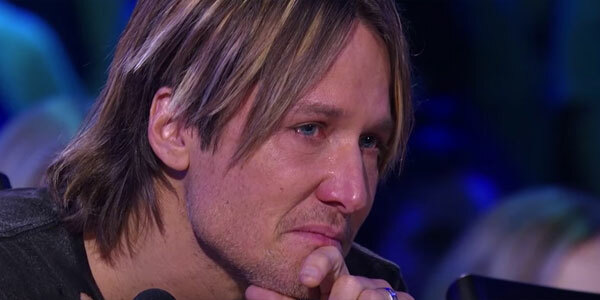 When Fox announced America Idol’s final season, we learned that the episode format might change somewhat to make room for fewer episodes in the final season. While Idol may be cutting back in some ways, the show has also worked out a bunch of nods at former judges and contestants who broke big after appearing on American Idol. Now that we're heading into the top 10, expect more famous names to pop up. In fact, I'm guessing you should expect plenty of emotions from those performances, too. Catch new episodes of American Idol on Fox. In addition, you can find out what else the networks have coming up with our network TV premiere schedule.